Please leave us a review!!! We love to hear from the community!!! 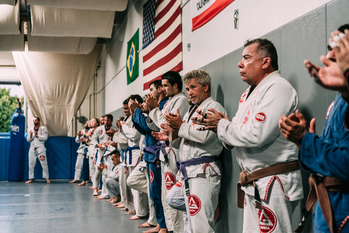 "We felt welcome the very first day as visitors from another jiu jitsu school. We, then, decided to join for obvious reasons. Great professors and coaches, good training partners, and a family friendly atmosphere. 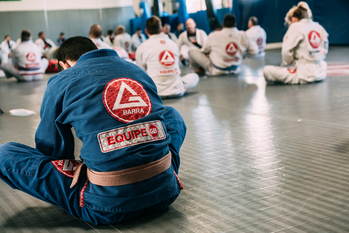 Adults and kids can train with Gi and No-Gi. We like that our kids can train everyday." 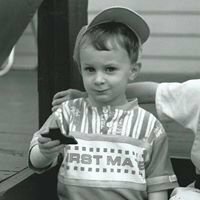 "My son has been going to Gracie Barra for the last year and a half. At first, he didn't like it, but because of the Professor and Coaches, he now loves going to class. Thank you!" "A great, welcoming place to learn and compete. The professors work hard to make sure the culture is friendly and that everyone makes progress from the high level competitors to the more casual people just doing it for fun." "Professor Scott, Patrick and the rest of the staff are awesome people. They work really well with the kids and I highly recommend this Jiu-Jitsu school if you're looking for some excellent self-defense classes in Orange County regardless of age, gender or experience. Definitely worth a call and meeting them for yourself!" "I'm very new to BJJ but have been blessed to have trained on 2 continents with guys/gals from US, UK, China, Japan, Korea and Sweden. I feel more blessed to have found GB Costa Mesa! Amazing folks to train with, grind with and laugh with after a hard session. I appreciate all my partners and would recommend not only BJJ to everyone, but BJJ at GB Costa Mesa. Go Train." "This place is awesome! I highly recommend it to anyone that wants to get in shape and/or learn self defense." "Before choosing this school, I tried out others in the area. The big deciding factor was my interaction with the people. It feels like you were walking into a family environment. Professor Scott and his team are great! Everyone helps out to make each other better. I am proud to call this my school."